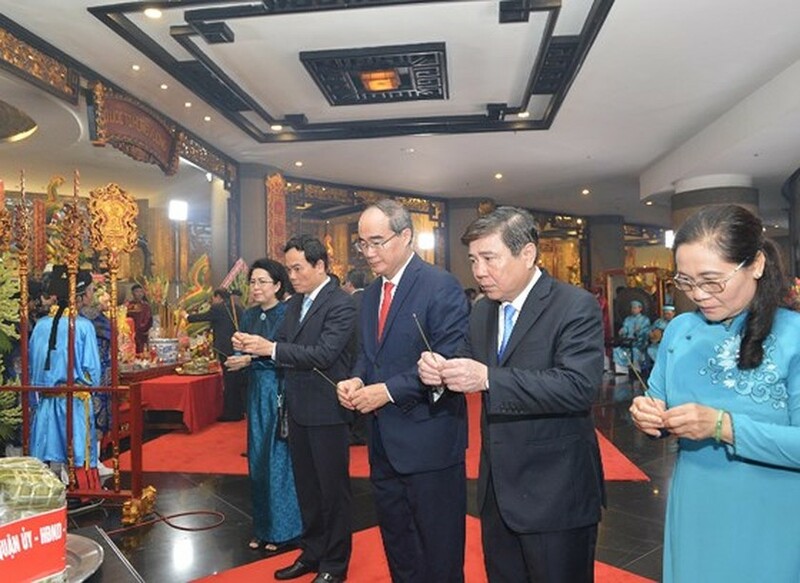 Secretary of HCMC Party Committee Nguyen Thien Nhan, Chairman of the city People’s Committee Nguyen Thanh Phong together with lots of former and incumbent leaders of the city attended the death anniversary of Hung Kings at the Hung Kings Memorial Site in the National Historical and Cultural Park in District 9 on April 14. 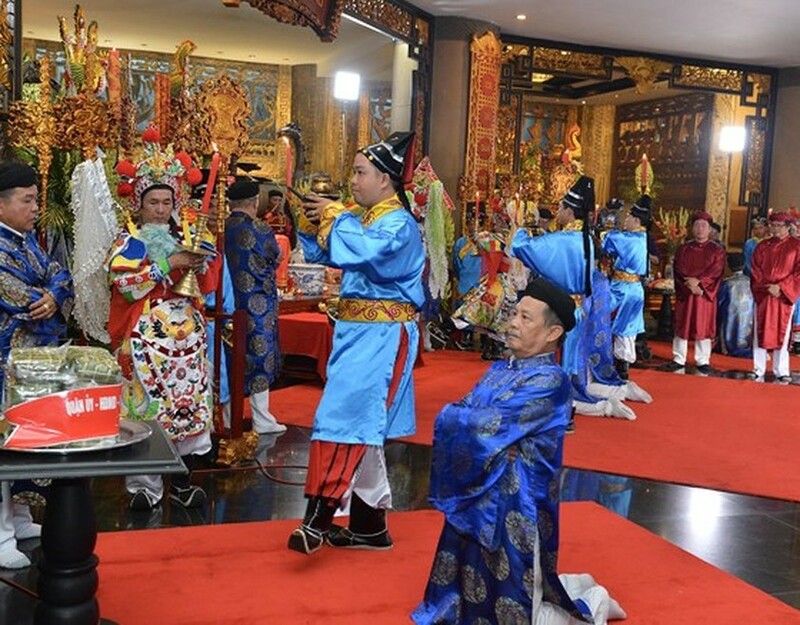 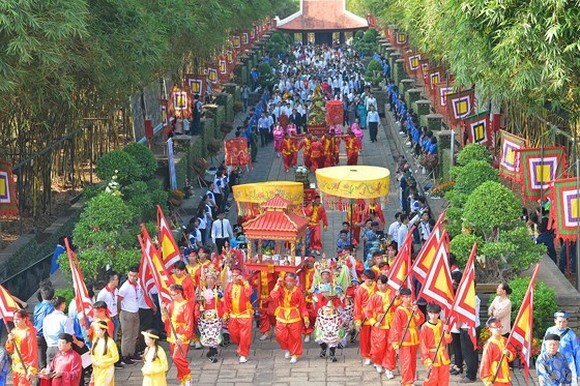 Besides the ceremony, the park management board organized festive programs to commemorate Hung Kings such as a traditional camp with the participation of 1,000 students, book festival, folk games, traditional martial arts performance, dragon dance performance and others. 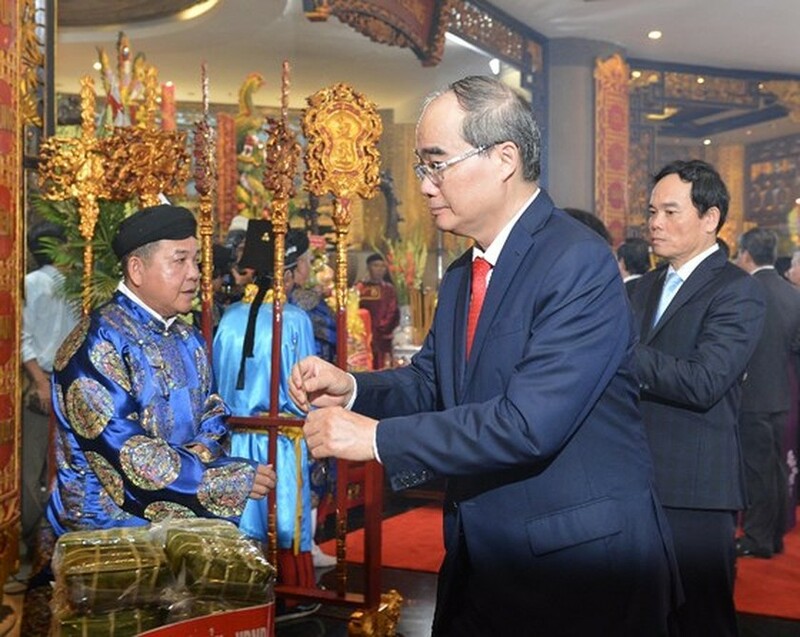 On this occasion, the city also hosted a music program to mark the 10th inauguration anniversary of the Hung Kings Memorial Site.